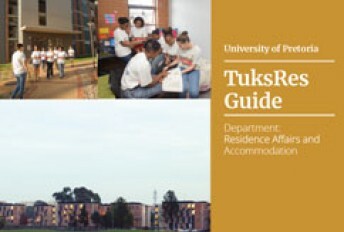 The Department of Residence Affairs and Accommodation, fondly referred to as the TuksRes Family, is a stand-alone business unit, with various management teams serving residence students. With 10 000 students in our accommodation spaces, the University of Pretoria is proud to be known as the largest residential university in South Africa. The Department of Residence and Accommodation is responsible for Residence Management and Student Life, Finance Administration, Placement Management, Accommodation and Maintenance Management, Student Support - Residences, Residence Systems and Food Services. By having a broad structure like TuksRes, one is able to manage the various needs of our student sector living in a residence. 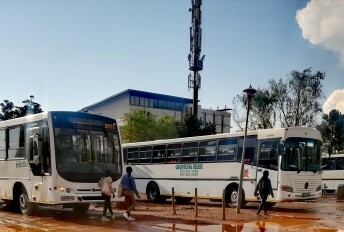 In October 2004, the Council of the University of Pretoria made an executive decision to streamline all the various functions related to residences under one business unit. This was to alleviate the various silos that existed all over campus and therefore the Department of Residence Affairs and accommodation (TuksRes) was born. 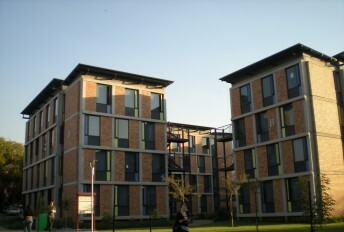 To offer an on-campus living environment that supports each student’s academic experience at the University of Pretoria. To strive towards creating a community that fosters safety/security, personal development/growth and the rendering of professional services. We are furthermore committed to be responsive to the needs of all residents and to be driven by the ideal of realising a better quality of student life in our residences. As we live by our motto – Legaegae, Real Home – we strive to provide each and every student with a living community they can call home.